We all know Borla from their awesome muffler’s and exhaust components. I love the Borla sound and pretty much put them on all my vehicles when I can. But you can only sell so many mufflers. So what next? Induction! Awesome individual throttle body induction. If you’re good at moving air into an engine, you’re probably pretty good at getting air into the engine as well. The kit above is a 429 Cammer and while I have no idea what that is, I would love to answer someone with it one day when they ask me what’s under the hood. 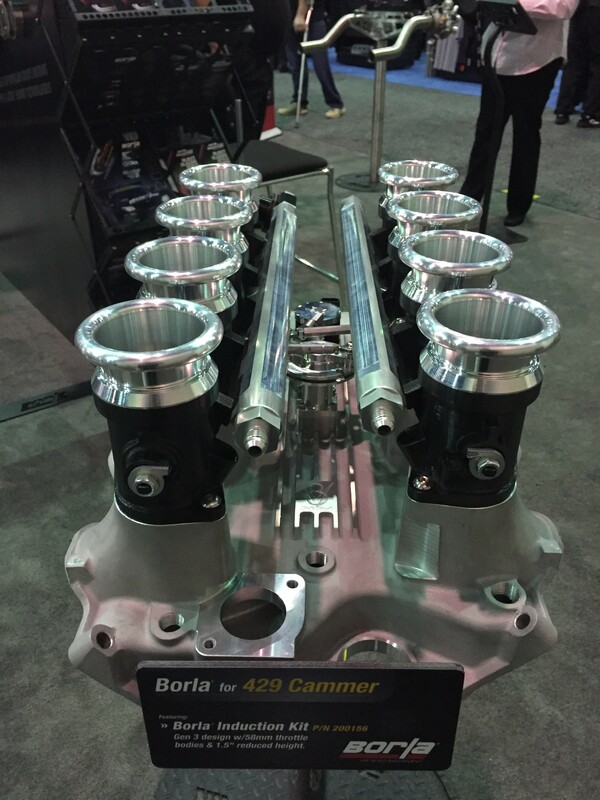 “Yeah, that there is a genuine 429 Cammer.” Of course I don’t talk like that but if I had a 429 Cammer with Borla induction, I’m sure I could learn pretty fast. 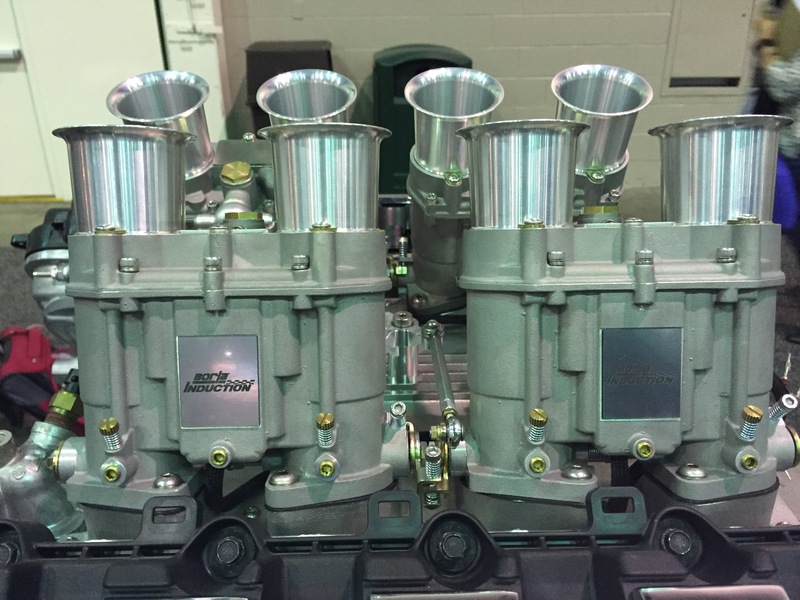 These updraft throttle bodies are awesome. I’m not even sure if that’s the proper terminology for these but man they look awesome. Especially when attacked to a giant Ford Racing engine with a huge turbo! Borda got into the induction business by purchasing TWM Induction, and now they specialize in all induction parts ranging from inlet manifolds to all out racing injection systems. All parts are “Made in the USA” at Borla Induction’s 320,000 sq. ft. headquarters in Johnson City, Tennessee. The full Borla Induction product line includes fuel injection kits, high-performance throttle bodies, fuel rails, air horns, air filtration systems and many other components. 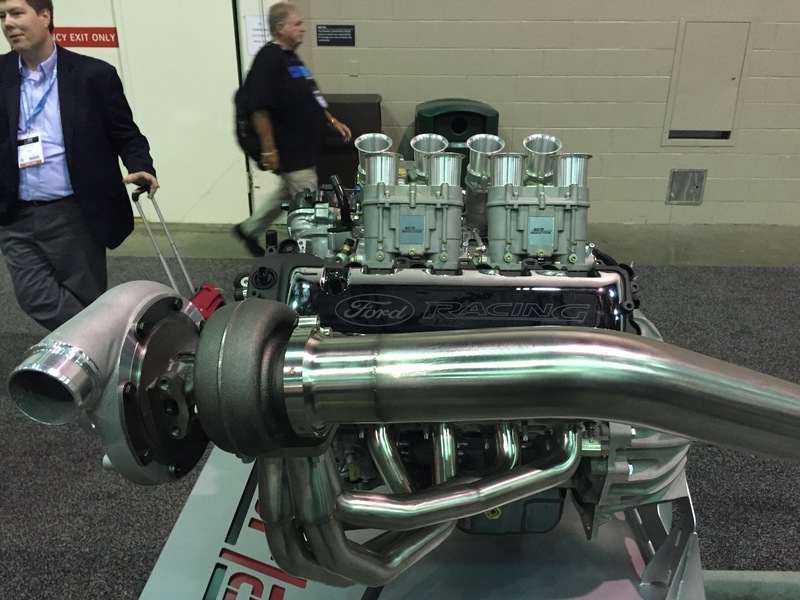 Currently it looks like the make kits for the Ford 351 Windsor, Chevy Big Block, GM LS3, 6.1L Hemi but there are universal kits that could be adapted to any motor.